• An outdoor pool (seasonal), grounds, a terrace, a sauna, a fitness center, a massage, a Hot Tub. 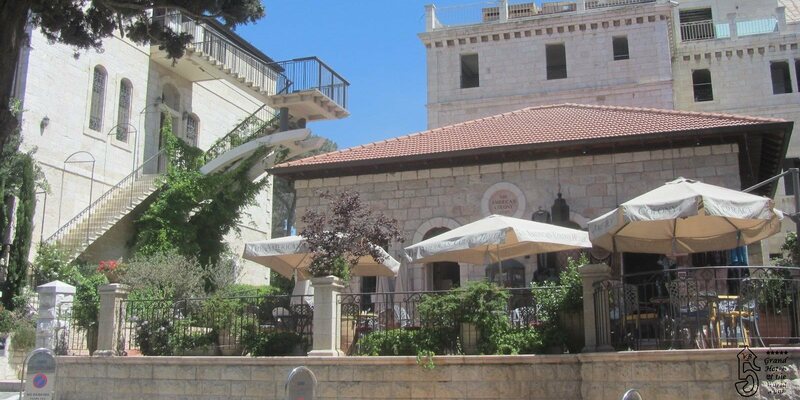 • The American Colony Hotel is within walking distance of Jerusalem’s major sights and within ten minutes of the Damascus Gate in the Old City. The nearby light-rail can take you to Jerusalem’s modern city center. • Built in the mid 19th century by Pasha Rabah Effendi El Husseini on the ruins of an older Ottoman building. • 1895: Purchased by the American Colony.